Optus has 4G FD-LTE coverage in five state capitals—Sydney, Melbourne, Perth, Adelaide, and Brisbane—as well as popular regional tourist destinations including Byron Bay, Coffs Harbour, the Gold Coast and the Central Coast. Optus added 4G TD-LTE networks for Sydney, Melbourne and Brisbane in September following a pilot in Canberra. As of 30 September 2014, Optus has 2.75 million customers on its 4G network. Most of the Optus 4G network currently runs on FD-LTE technology and operates in the 1800MHz spectrum band. 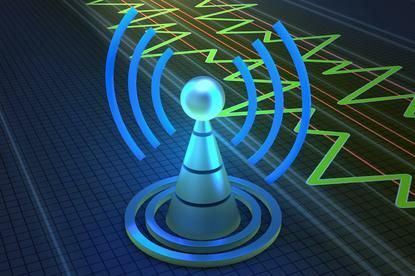 The TD-LTE network, which uses 2.3GHz spectrum, provides higher throughput than FD-LTE, but currently has a fewer number of compatible handsets. Optus does not offer FD-LTE in Canberra, and 4G smartphones made for FD-LTE revert to 3G when used there. Optus reportedly plans to spend $2 billion over two years on 4G services in an effort to take on Telstra. Also, a $230 million acquisition of the Vividwireless Group from Seven Group Holdings gave Optus access to 98MHz of spectrum in the 2.3GHz band for its TD LTE network. Optus spent $649 million at the Digital Dividend auction, half of what Telstra paid. It took 2x10MHz of the 700MHz spectrum and 2x20MHz of the 2.5GHz spectrum. While less than what Telstra took, Optus executives have said they were satisfied with the outcome. On 21 July 2014, Optus announced a commercial pilot of its 700MHz spectrum in Perth and Darwin. On 3 November, Optus expanded the Darwin pilot beyond the Northern Territory city’s central business district. On 8 December, Optus expanded the pilot to Canberra. Optus is expected to turn on its 700MHz network in more locations starting January 2015. Optus has also announced a large regional expansion of 4G using 2600MHz and 700MHz spectrum. Between October 2014 and April 2015, Optus plans to roll out 4G to 200 regional locations across the country, including parts of Cairns, Ballarat, Darwin, Alice Springs, Hobart and Launceston. On 17 November 2014, Optus said it had switched on 4G 2600MHz service in sites across 40 regional centres. Also, the first 700MHz sites are now live in Toowoomba, Ballarat, Bendigo, Coffs Harbour, Dubbo, Nowra, Port Macquarie, Urunga, Bundaberg and Murray Bridge. Meanwhile, several other companies have rolled out 4G plans riding on the Optus network, including Virgin Mobile, Exetel, iiNet, Vaya and Yatango. Amaysim has said 4G services are on the way, but CEO Rolf Hansen has said he's not sure 4G is a commercial "slam dunk.". Vodafone launched its 4G network in major metropolitan areas in June 2013 and opened the service to new customers on 10 July 2013. There are nearly 2 million devices connected to the Vodafone 4G network. Vodafone has 4G coverage in Sydney, Melbourne, Perth, Adelaide, Brisbane, Canberra and Hobart. In October 2014, Vodafone announced upgrades for Adelaide to increase 4G coverage using its 850MHz spectrum. The low-frequency band is said to provide greater indoor and outdoor coverage than the 1800MHz band that has commonly been used for 4G up to this point. With hopes to reverse a customer exodus, Vodafone is investing $1 billion over two years on network upgrades. While relatively late to the 4G game, Vodafone will deploy LTE over its existing 1800MHz channel and potentially have higher speeds than other carriers because it has 20MHz of spectrum in that band. The telco did not participate in the Digital Dividend auction. On 17 November 2014, Vodafone announced it had switched on its faster LTE-A network in Melbourne. The so-called "4G+" network is comparable to Telstra's "4GX" network. For information on the networks of MVNOs including Amaysim, Boost Mobile and Lebara, check out our feature: Australian MVNOs: 3G or 4G?